I’m so late to this party it’s not even funny, but over the last month or two I’ve started applying my makeup in a slightly different way. Encouraged by the contouring trend and need for great blending, I started reaching for a mini Beauty Blender (which has been sitting unused in my makeup box for blooming ages.) It started with a little blending of my foundation around the jawline, quickly evolving into a tool that helped blur the lines between bronzer and highlighter, finally ending up as the perfect way to conceal those pesky under-eye circles. The texture and size of the little foam wonder may be slightly confusing and intimidating, but don’t let the odd shape put you off; it really is a great help and ensures an effortless glowing complexion that looks like you’ve had the best nights sleep ever. Invented by top Hollywood makeup artists Rea Ann Silva and Veronica Lorenz, the original Beauty Blender Sponge (£16.00) has a patent-pending elliptical shape which allows you easy access hard-to-reach areas; it’s pretty much fool proof, although it does take some getting used to. Cheaper alternatives include the Real Techniques Miracle Complexion Sponge (£5.99), Nanshy’s 4-in-1 Makeup Blending Sponge (£5.95) and Beauty Bay’s own brand incarnation (£2.50,) but the concept it all the same. The rounded sides blend large areas of the face with a repeated dabbing or “stippling” motion, the precision tip effortlessly covers blemishes and imperfections, while the flat edge contours around the eyes and nose. Although I find they absorb too much of my base product when used to apply foundation, I love these sponges to blend in cream blushers, bronzers and concealers – especially around the eye where products have a tendency to sit in fine lines and creases. I find that the spongey texture helps to buff product into skin, gliding across the surface to leave an almost airbrushed effect; especially on days when I’m feeling a little sleepy or my skin needs a little boost, this is a helping hand I now couldn’t be without. There’s a reason why makeup artists and YouTube gurus have been using these for an age, and it’s because it’s a great alternative to both brush and fingers. 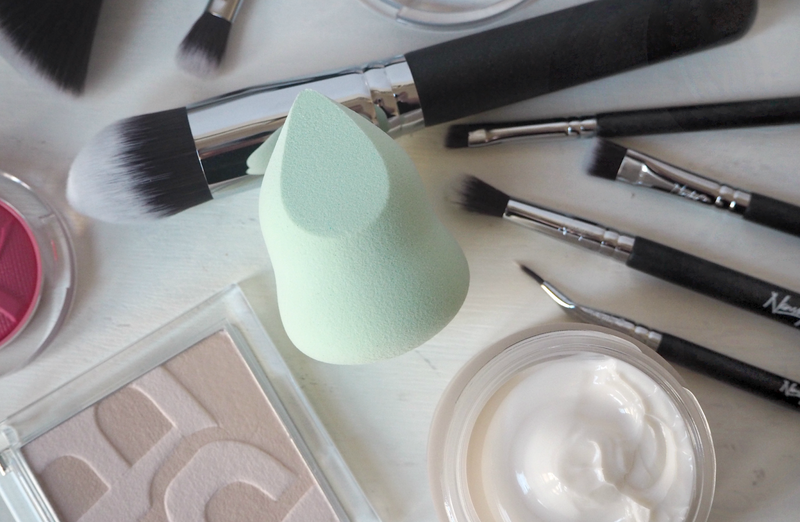 It’s amazing how a little sponge can make such a difference to a routine – but Beauty Blender, I’m a convert. I love you. Are you a fan of beauty blenders, or have you been wondering what all the fuss is about? Previous Post WHAT HAPPENS WHEN THE RESULTS OF MY SMEAR TEST COME BACK ‘ABNORMAL’?